If you’re a Firefox 57 user (aka Firefox Quantum, currently in Beta and releasing November 14) with legacy extensions installed, we’ve introduced a new feature to help you find compatible replacements. Since many developers are updating their extensions close to the Firefox 57 release, we didn’t want to start recommending alternatives until the last minute. That’s why this feature only exists in version 57 and later. 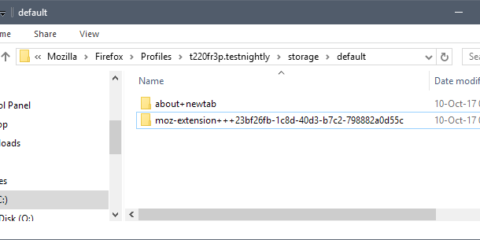 However, if you are currently using Firefox 56 and want to start looking for alternatives to extensions that are not likely to become compatible, there is an Extension Finder utility that you might find helpful. So you may still want to update to the WebExtensions API, even if you can’t get it done in time for Firefox 57. For more information on how to migrate legacy extensions, please see this guide. The post Helping You Find Compatible Extensions appeared first on Mozilla Add-ons Blog.